Daryl Johnson (Worcester Park, United Kingdom) on 2 February 2009 in Documentary & Street and Portfolio. They seem quite surprised! I like the graphics of the buildings. really great shot with the pedestrians looking straight down the lens. Like it. Here in Japan is impossible to become invisible on the streets , everybody look at us !! I forgot ! , congrats for the spotlight !! @Hikari: Oh! I didn't notice! Thanks Hikari! I like your angle, using the tight crop for maximum impact, good work. The ladies seem to be unsure of your intentions.... Well done Daryl! Beautiful scene. Love the lady texting on her cell phone. Congratulations on yesterday's image getting spotlighted on aminus3. @Steve Rice: Thanks for that Steve! Love their expressions! Beautiful capture and excellent b&w! the architecture in the backdrop is nicely captured.. The right foreground of your photo is very interesting. 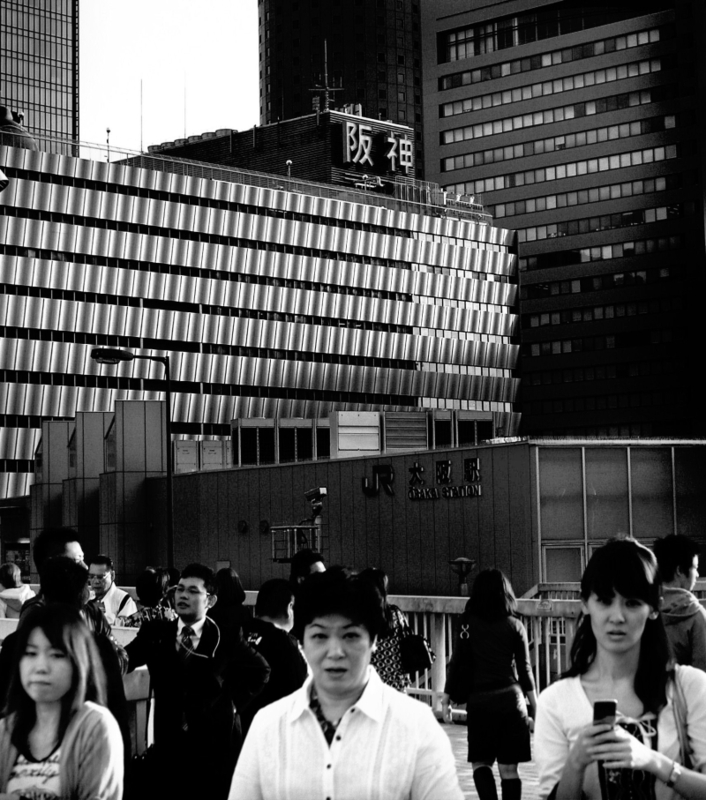 Love those apprehensive expressions contrasted with the strong buildings behind. So Osaka! This is a great shot Daryl. I like your focus on the buildings, your subjects being in a more shallow depth of field. Great work.